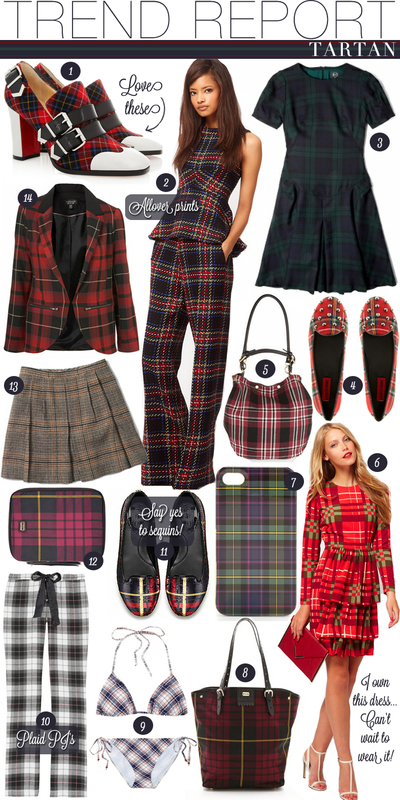 School’s in session with the latest fall trend of tartan! This plaid-ish print is perfect for work since it isn’t too out there. Most tartans come with some form of navy, red or green, if not all three. This print is also a fun way to try the allover print look that we’ve been seeing a lot lately. It’s a little less intense than others and can look sleek and sophisticated. How would you wear tartan? I heart this pattern for so many years! :) Wonderful list!! I LOVE tartan – there is something so nostalgic and wintery about it. My favorite is blackwatch, like dress #3 above! So classic!